Due to maintenance work on our platform, we need to restart our systems. 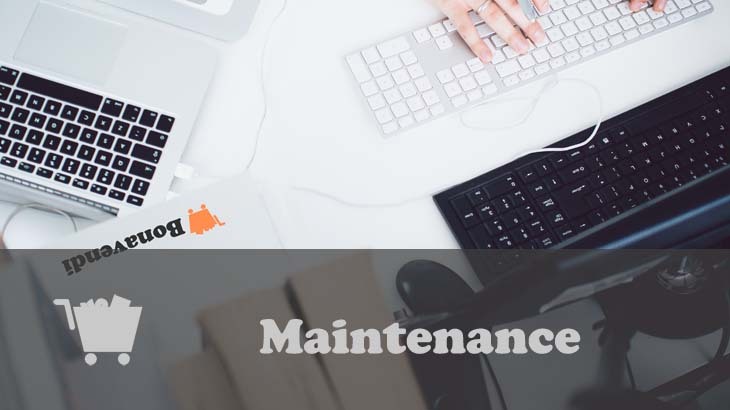 In some period between Monday, 26 June 2017 and Wednesday 28 June 2017, we will conduct our maintenance only for a few minutes sometime between 4 pm and 10 pm Eastern Time. Of course, the Bonavendi price comparison will be working again other than the specified times above as usual. We apologize for any inconvenience. For further information please do not hesitate to contact us at info@bonavendi.com.